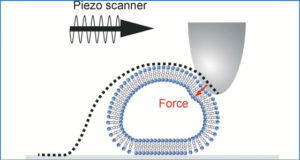 Developing tumors continuously release nano-sized vesicles that represent circulating “fingerprints” of the tumor’s identity. 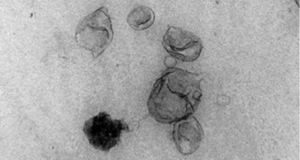 In gastrointestinal stromal tumor (GIST), University of Kansas Medical Center researchers have previously reported that these tumors release “oncosomes” carrying the constitutively activated tyrosine kinase (TK) receptor KIT. Despite the clinical utility of TK inhibitors, such as imatinib mesylate (IM), recurrence and metastasis are clinical problems that urge the need to identify new tumor-derived molecules. 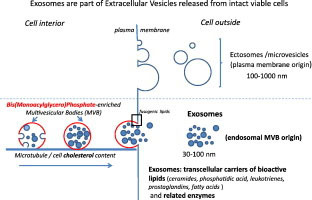 To this aim, they performed the first high quality proteomic study of GIST-derived exosomes (GDEs) and identified 1,060 proteins composing the core GDE proteome (cGDEp). 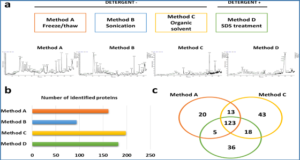 The cGDEp was enriched in diagnostic markers (e.g., KIT, CD34, ANO1, PROM1, PRKCQ, and ENG), as well as proteins encoded by genes previously reported expressed in GIST (e.g., DPP4, FHL1, CDH11, and KCTD12). 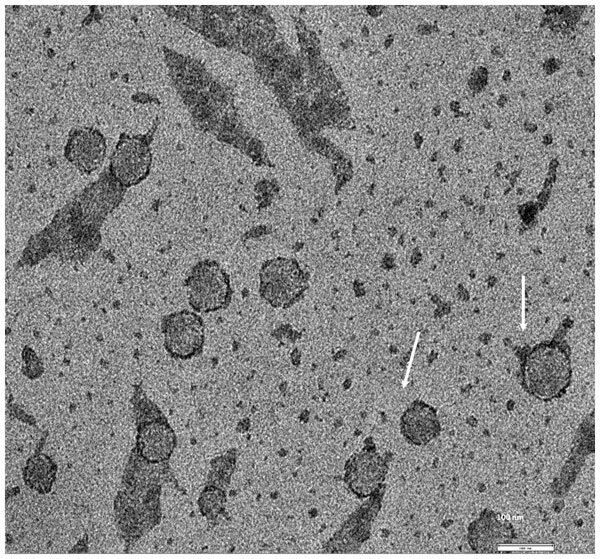 Many of these proteins were validated using cell lines, patient-derived KIT+ exosomes, and GIST tissues. 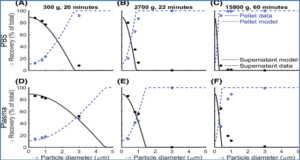 The researchers further show that in vitro and in vivo-derived GDE, carry proteins associated with IM response, such as Sprouty homolog 4 (SPRY4), surfeit 4 (SURF4), ALIX, and the cGMP-dependent 3′,5′-cyclic phosphodiesterase 2A (PDE2A). Additionally, they report that the total exosome levels and exosome-associated KIT and SPRY4 protein levels have therapeutic values. 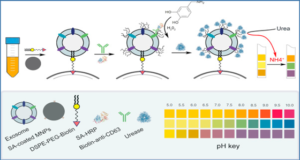 In fact, molecular characterization of in vivo-derived KIT+ exosomes indicate significant sorting of p-KITTyr719, total KIT, and SPRY4 after IM-treatment of metastatic patients as compared to the pre-IM levels. 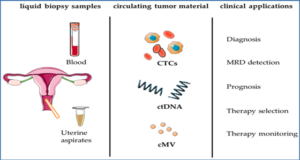 These data suggest that analysis of circulating exosomes levels and molecular markers of IM response in GIST patients with primary and metastatic disease is suitable to develop liquid based biopsies for the diagnosis, prognosis, and monitoring of response to treatment of these tumors. 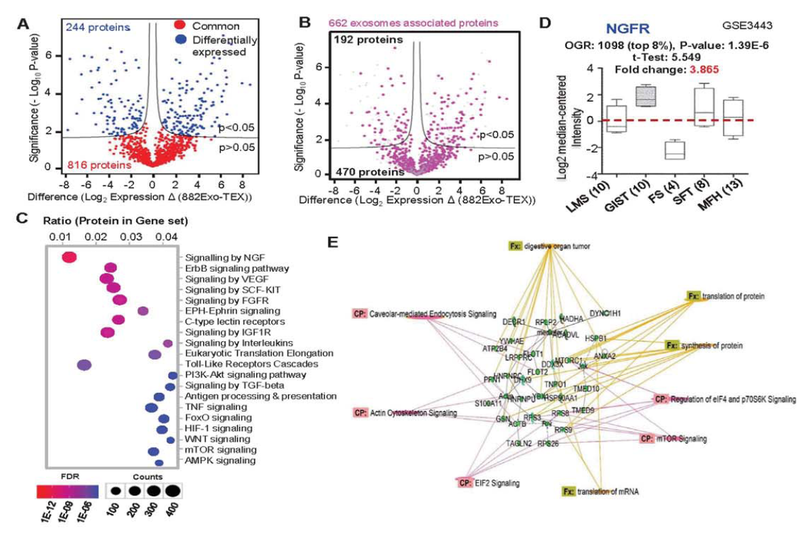 In summary, these findings provide the first insight into the proteome of GIST-derived oncosomes and offers a unique opportunity to further understand their oncogenic elements which contribute to tumorigenesis and drug resistance.